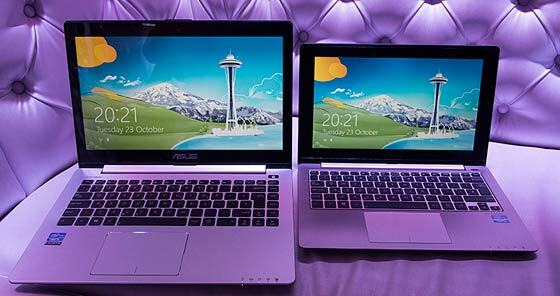 The Chief Financial Officer (CFO) of ASUS, David Chang has told the Wall Street Journal that “Demand for Windows 8 is not that good right now”. His statement is particularly interesting as Microsoft has only just announced a triumphant 40-million-in-the-first-month sales figure for the new and daringly different OS. Microsoft’s figures also show Windows 8 beating the well regarded Windows 7 initial sales figures. So why the disparity? I think that the clue to the difference in the Windows 8 popularity statements is because the ASUS CFO is talking about Windows 8 touch screen notebooks rather than Windows 8 as a whole. So the quote “Demand for Windows 8 is not that good right now,” from David Chang is a little out of context. The WSJ article is entitled “Windows 8 Touchscreen Laptops See Slow Start” and that is what is being discussed. 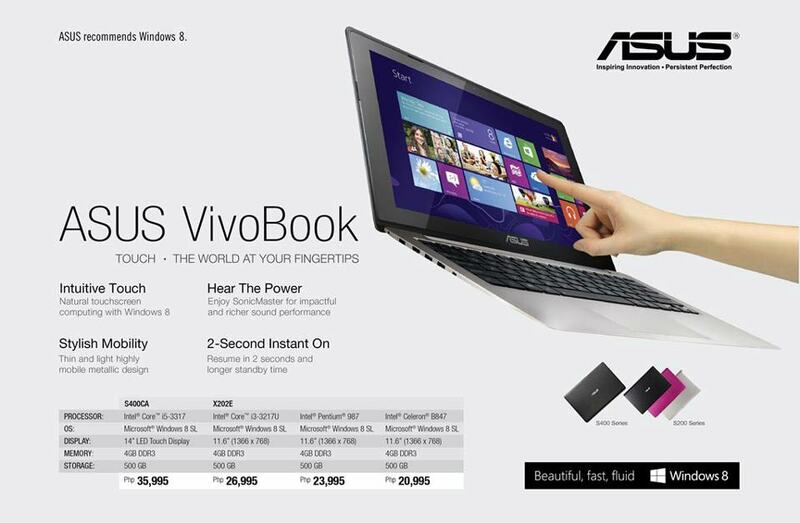 According to the WSJ Mr Chang stated that “demand ramp-up for Windows 8 touch notebooks was slow and declined to give sales figures for the Asustek Vivobook, even though it’s the top-selling Windows 8 touch notebook on Best Buy’s website.” The ASUS Vivobook S200 series is one of the keenest priced touch screened notebooks available yet is supposed to have excellent build quality. Most notebooks for sale with Windows 8 installed are still of the non-touchscreen variety. Also in the UK there are none available, I’ve had a look around and it seems to be pre-order or import only. The i3 equipped 11.6-inch £449 model is going to be released here, according to Amazon.co.uk, on 30th November. So it seems to me that there aren’t enough affordable touchscreen equipped Windows 8 notebooks around for people to buy. Back again to the WSJ article, an analyst speaking to the newspaper said that “one problem remains, the high price of the touchscreens used for Windows 8 notebooks, which are difficult to make because of their large size and the thinness of the glass... demand for Windows 8 is gradually picking up, and should ramp up as the price of the components come down to more mainstream levels.” As more mainstream and budget priced touchscreen-enabled notebooks arrive more people may feel the upgrade to a Windows 8 notebook is worth doing. So it's $200 in America, but £399 over here?! Do they take us for mugs?! Edit: I read it as $200, not S200. My bad! The S200E-CT158H (i3 version) is currently in stock in my local Tesco, doubt they have very many though. Had a play on it while the guy was still unboxing it, very nice device and using Windows 8 does feel loads better/easier when combining it with a touchscreen. Personally hanging on for the Surface Pro though! Who needs to buy a new system just because of a new operating system? Don't they realise that many people out there have fairly good systems for their requirements already and just upgraded to windows 8 instead of shelling out for new kit? i used the beta version of this joke and personally i would simply not buy it its just like windows me and vista STUPID it belongs in a phone or one of those useless tablets.